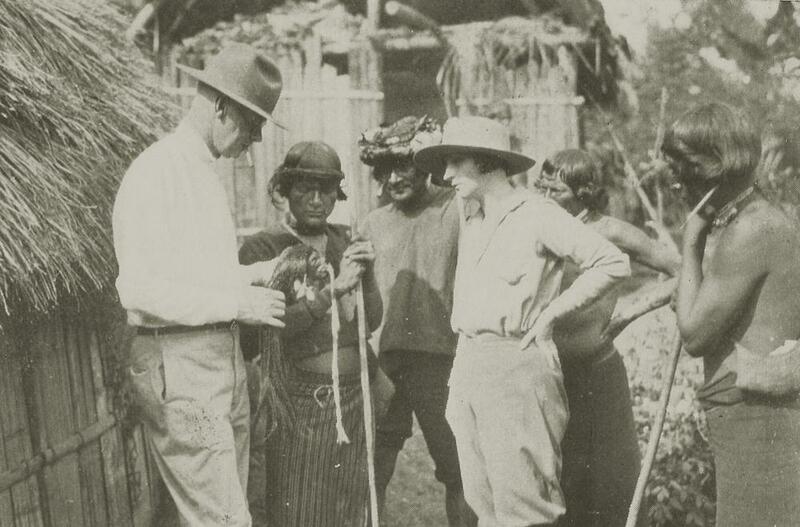 "I haven’t had an adventure and don’t expect to have,” Dr. Herbert Spencer Dickey wrote in 1929 about his full-time career exploring the unknown interior of South America. He criticized many of the much-publicized Amazon expeditions of the early 1900s as “sport,” not science. On his own travels on the eastern side of the Andes, he made contact with an unknown tribe, witnessed a Jivaro head-shrinking ceremony and searched for the source of the Orinocco River, all the while minimizing “real danger.” Partly sponsored by Gorge Gustav Heye and the Museum of the American Indian, he brought back some of the finest items still on display at the NMAI. But his “better judgement” was hard-won during his youthful career as a “tropical medico” wandering the headwaters of the Amazon and Orinocco rivers. As a young, fortune-seeking doctor, he faced repeated credible threats to his life, all the more serious because they came, not from the jungle or Native tribes, but from employees of a major corporation. 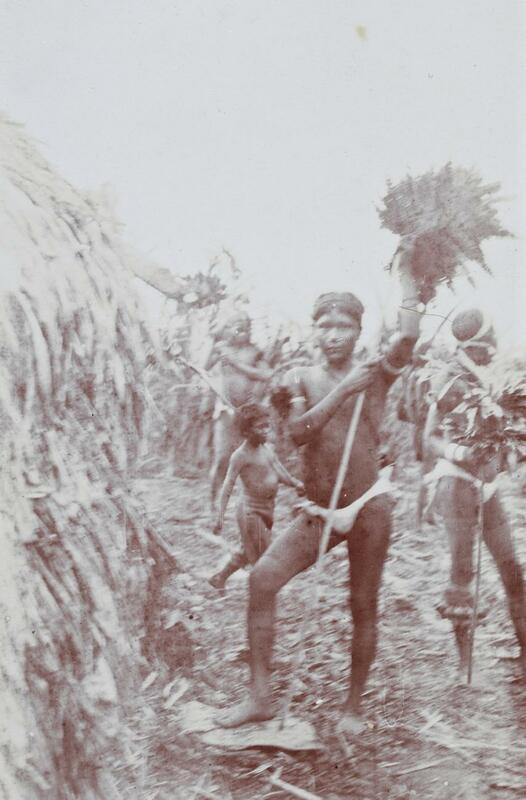 Dickey found himself, not once but twice, at the heart of one of the great atrocities of the early 20th century, the enslavement and systematic brutalization of Amazonian Indians during the Putumayo rubber boom. He was a staff doctor for the principal villain, the Peruvian Amazon Rubber Company. But he also served as source and guide to the British diplomat who did the great work of exposing the crimes, Sir Roger Casement. This naturally put him in a precarious position. Dickey tells the story in his remarkable memoirs, Misadventures of a Tropical Medico (Bodley Head, 1929). This little-known book (still available in an expensive reprint) is not only a great read, it is also a powerful warning about corporate exploitation of indigenous peoples. As a medical student from Highland Falls, N.Y., Dickey rather naively shipped for Colombia in 1899, seeking an exciting way to make a living. He reels off an amazing string of misadventures, some comic, some horrifying and many both, landing as he did in the middle of a Colombian civil war. But the comedy fades as he follows his fortune deeper into Amazonia, drawn by the boom in rubber. As he was soon to learn, some of the greatest corporate crimes against Native peoples in the early 20th century were fueled by demand for automobile tires. By good chance, so he thought, Dickey found an opening for a staff doctor at El Encanto, a Peruvian Amazon Company station on a tributary of the Putumayo River. It was only gradually that he learned what was going on in that district, a disputed zone between Peru and Colombia, in which the rubber company was the only law. He witnessed the brutal flogging of six Indians with a tapir-hide lash. 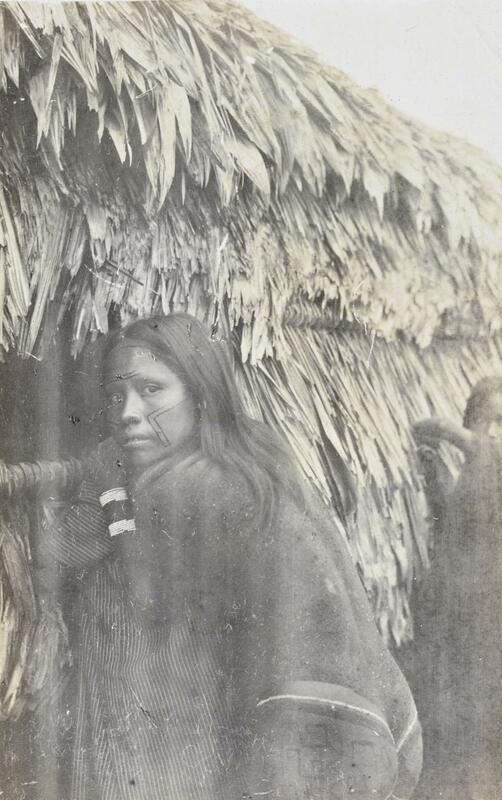 He learned Weetoto (or Huitoto), the language of the tribe taking the brunt of the rubber exploitation, and Indians at the station whispered to him about casual murders committed by company managers. He also heard the drunken bragging of company minions. An expose had already been published in London by an American journalist who had briefly visited the outpost. But Dickey tried to put it out of his mind. The company steamer called only every three months, and he was living cheek by jowl with people who he was convinced wouldn’t hesitate to eliminate a further source of damaging stories. His escape came at great physical cost. While hunting bird specimens, a hobby that kept him away from the station, he stumbled on a travelling band from an unsubjugated tribe. The group didn’t know him and took revenge on a generic white man. They tied him to a tree, his arms raised behind his back, and then slashed the bark above his head. The sap attracted an army of ants, which swarmed over him as he hung there for 22 hours. Finally rescued by Huitotos, he was brought back to the station a physical wreck and clearly had to be evacuated. Dickey said that his mental recovery began the moment the company river boat pushed off from the dock of El Encanto. Leaving the Putumayo, he thought forever, he eventually set up practice in more congenial surroundings, a Brazilian border town on the Javary River named Remate de Males, or “Culmination of Evils.” “No town was ever better named,” he wrote. Fugitives from Peruvian justice flocked there, while fugitives from Brazilian justice flocked across the Javary River to the sister border town in Peru, less aptly named Nazareth. At Remate de Males, Dickey finally caught the Yellow Fever he had so long treated, and his convalescence brought him to another fateful encounter. 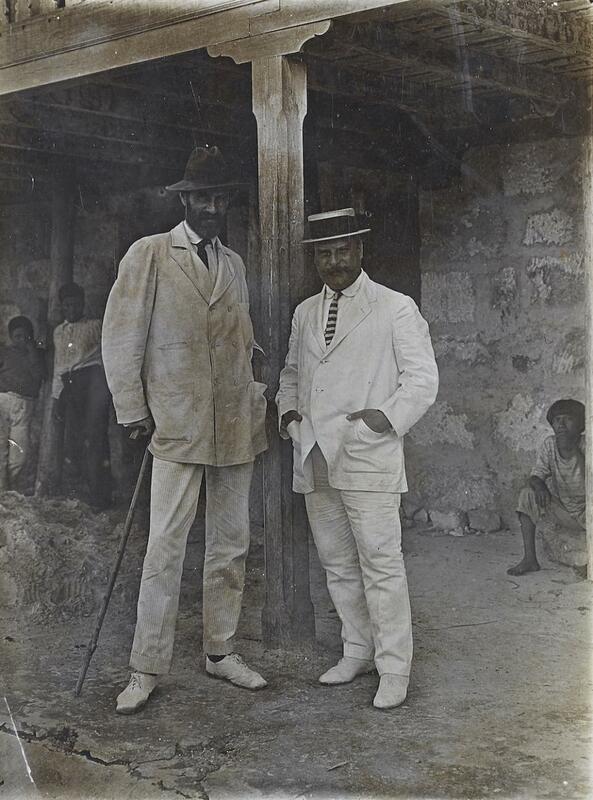 In 1911, he left the continent for a break in Barbados. In a bar in Bridgetown, he “stumbled across the one man in all the world who had set himself the task of aiding the unfortunate Weetoto Indians to escape from the abominable overlordship of the Peruvian employees of a British rubber-collecting company.” This was Roger Casement. In the middle of the coming World War, the British government hanged Casement as a traitor in one of the most notorious cases of the century. But at this point he was a hero, the pioneer of human rights investigations. As a career employee of the British consular service he had written a devastating report in 1903 on atrocities in the Congo of Belgium’s King Leopold II, also committed for rubber. In the 18 months since Dickey had left El Encanto, Casement had accompanied a commission to the Putumayo that exhaustively documented the crimes and abuses of the Peruvian Amazon Company. Casement gave the comprehensive account of the system Dickey had only seen in pieces. It was based on two institutions, the stocks (cepos) and the tapir-hide lash (ronzal). Indians who refused to carry rubber, or who collapsed under their load, or who otherwise offended a company minion, would be seated on the ground with their ankles pinned between two heavy logs, often through holes smaller than the actual size of their legs. There they would stay, said Casement, for days, weeks, even months. Floggings, and worse violations, were frequent, in and out of the stocks. Although figures were uncertain, Casement wrote, the Indian population in the Putumayo had fallen from 40,000 (a low estimate) at the beginning of the rubber boom to 10,000 to 12,000 at its peak. His collection of incidents, depositions and even freely given confessions of murders at the company’s behest ran 125,000 words. It had not yet been published as a Parliamentary Blue Book when Dickey met Casement. (The U.S. State Department had asked for a delay so that the Peruvian government “could get its house in order,” and the report was released in July 1912.) In the meantime, Casement had made somewhat Quixotic plans to arrest some of the worst perpetrators. He asked Dickey to go along, as interpreter and local expert. The two sailed up the Amazon for weeks, with their quarry always two or three steps ahead, forewarned, Dickey thought, by government officials. At the end, the pursuers only caught sight of the fugitives in Dickey’s stamping ground of Remate de Males. The former minions of the Peruvian Amazon Company were disembarking from a canoe on the Peruvian side of the Javary. If Dickey did say something like this to Casement, however, his subsequent actions belied his fatalism. After Casement gave up his manhunt and returned to London, Dickey was at loose ends in the river metropolis of Manaos when he encountered none other than Julio Cesar Arana, president of the Peruvian Amazon Company. Arana, who knew exactly what Dickey had been doing, turned on all his considerable charm, promised great reforms and offered a tremendous raise if Dickey would return to Putumayo. The clincher was the news that the district would now be run by Juan Tizon, who had cooperated with Casement and whom Dickey respected. Dickey accepted and returned to the Putumayo district capital La Chorrera. For the first few months after his return, conditions did improve sharply. But Tizon’s health failed. His replacement reverted to the worst of the old brutality. Dickey was trapped again, but with his eyes wide open. “Had I suggested that I wanted to leave,” he wrote, “there was no doubt in my mind that I would have been killed.” The going rate for such an assassination, he said, was a tin of sardines. So he began to make plans for his “getaway.” An old Weetoto friend named Keysha, who lived an hour’s walk away, agreed to keep a small canoe hidden for him. On regular hikes to the hut, Dickey smuggled provisions for his trip. But plans came to a head when the next arrival of the company steamer brought a calamitous package. Before Casement had parted company, he had suggested that Dickey write a book about the Putumayo, which Casement would have published in London. Dickey had sent him several explosive chapters, before his encounter with Arana. After rejoining the company’s employ, Dickey sent urgent word to Casement to withhold publication. But here, in the packet of letters on the company steamer, was a copy of the London Daily Mail, Overseas Edition, with Dickey’s writings spread across the front page. Dickey learned he still had the only copy in the district, but he planned to leave that night. He sent his houseboy ahead with a coded message for Keysha, and waited for a reply. And waited. He finally set out, with his heart racing. He passed the clearing with the stocks, and saw that his houseboy was a prisoner. He feared a trap. “Never in my life have I been more frightened,” he said, “and I left the boy there.” He hurried in the nightfall to Keysha’s hut. Dicky turned to run, but stopped short at the sound of a smothered wail. Keysha’s grandson was lying in the dust. He had been taken in months before when his own parents had been murdered. Now, said Dickey, “whoever had hung Keysha had apparently merely kicked the baby into the corner.” Dickey retrieved the baby, trying to stifle its cries, and found his hidden canoe. Keysha had kept that secret to the last. Dickey paddled with his passenger for 11 nights, hiding by day, until he reached the Brazilian Customs Port at the mouth of the Putumayo. A succession of steamers took him down the Amazon, and he quit South America altogether for Barbados. There he found a place for Keysha’s grandson, who grew up to become a customs officer for the British West Indies. Casement turned to Irish nationalism and was executed in 1916 for his role in the Easter Rising. After making a fortune with the Peruvian Amazon Company, Julio Cesar Arana was elected Senator in Peru. 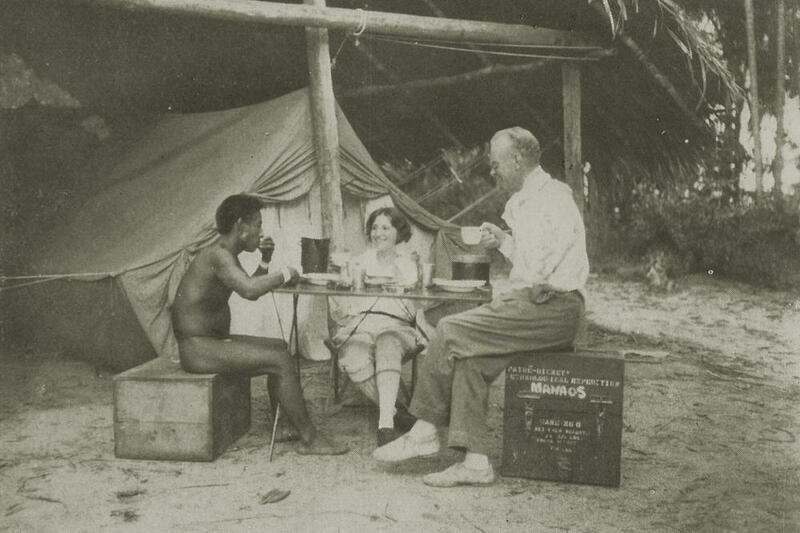 Dickey eventually retired from medicine, became a full-time explorer and ethnographer, and launched a number of expeditions that avoided adventures whenever possible. James Ring Adams is Senior Historian at the National Museum of the American Indian – Smithsonian and managing editor of American Indian magazine.